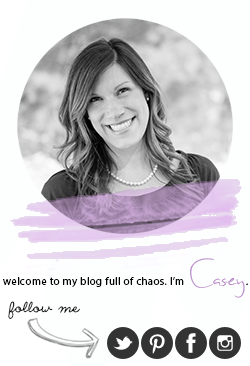 When I got pregnant with Maddie, people told me life would be hard (no sugar coating it). Tate and Maddie are exactly 18 months apart, which really means I was taking care of two babies when Maddie was born! Now let me tell you, most days life is really hard with the two of them so close in age. It seems every time I am out of a phase with one, I'm in it with the next! Neither of them have really entered any sort of 'helpful' phase and so both are literally completely dependent upon me all day, every day. Neither knows how to dress themselves or how to buckle themselves into the car. 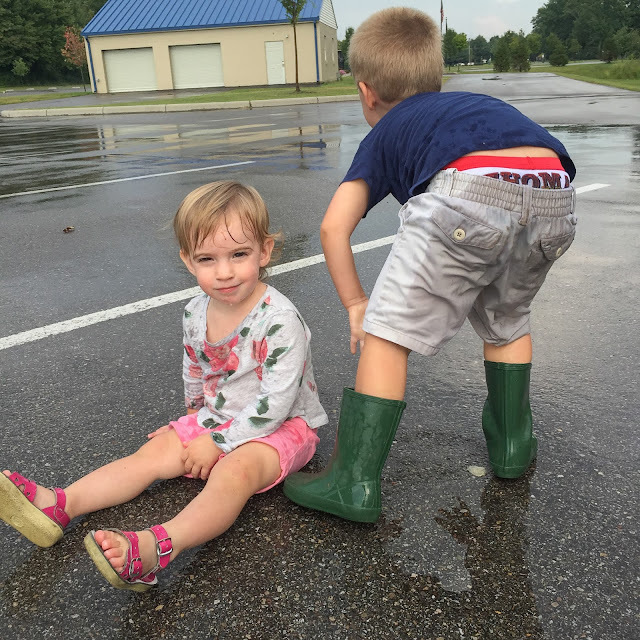 We had two in diapers for over 15 months (thank heavens for potty training early). Both are complete messes during mealtime and swimming with two babes is enough to give me a heartache each and every time. Life is not easy raising children so close in age. It just isn't. 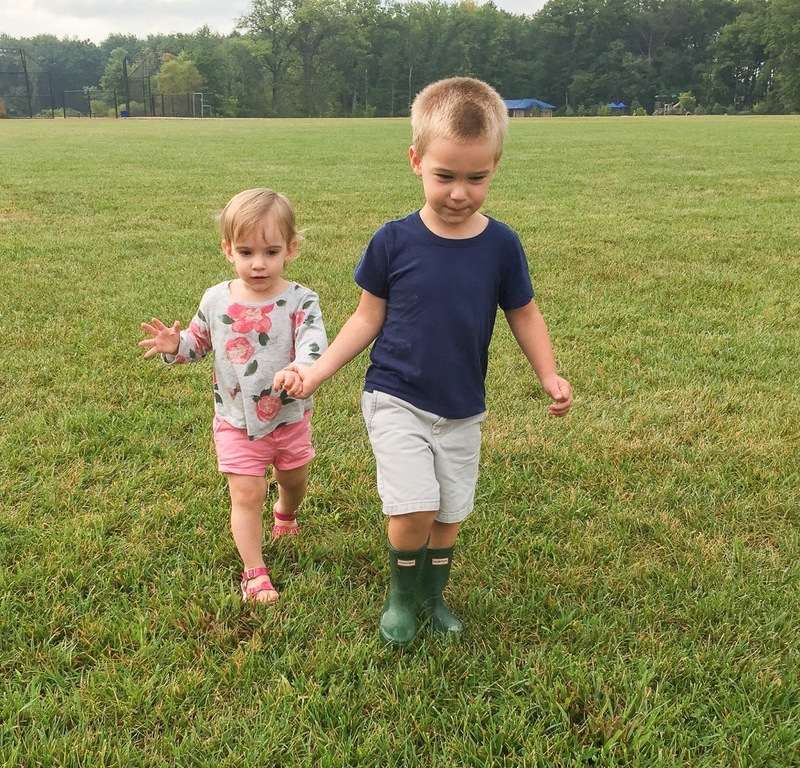 But, then a moment happens before my eyes, completely unassisted, that reminds me why we love having our children so close. 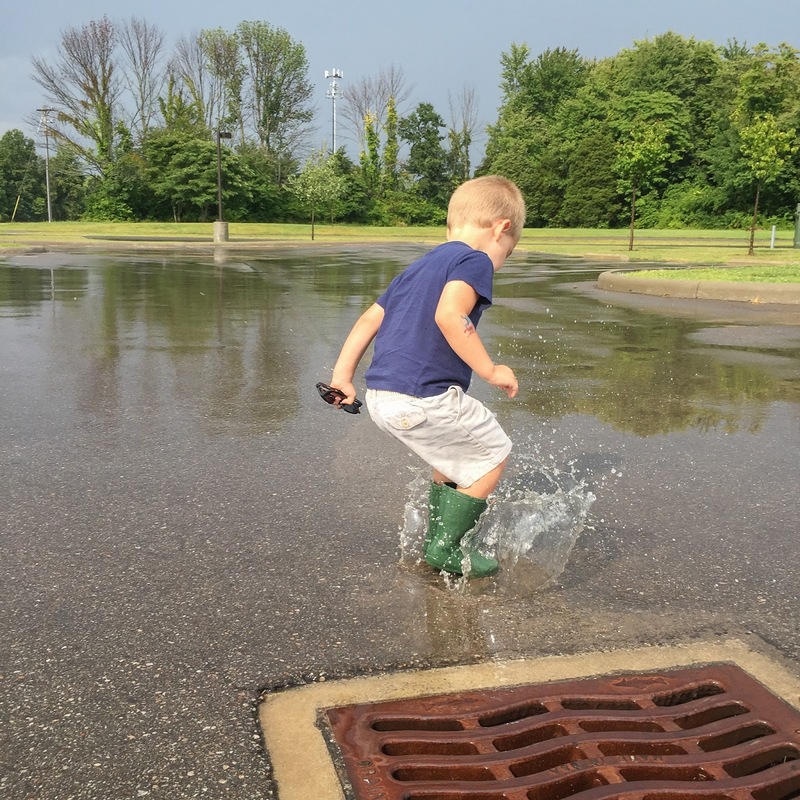 Last weekend we loaded the kids and all their belongings into the car to go to the park and fly kites. Just as we pulled into the parking lot and unexpected storm cloud rolled in and dumped water on us for about 15-20 minutes. 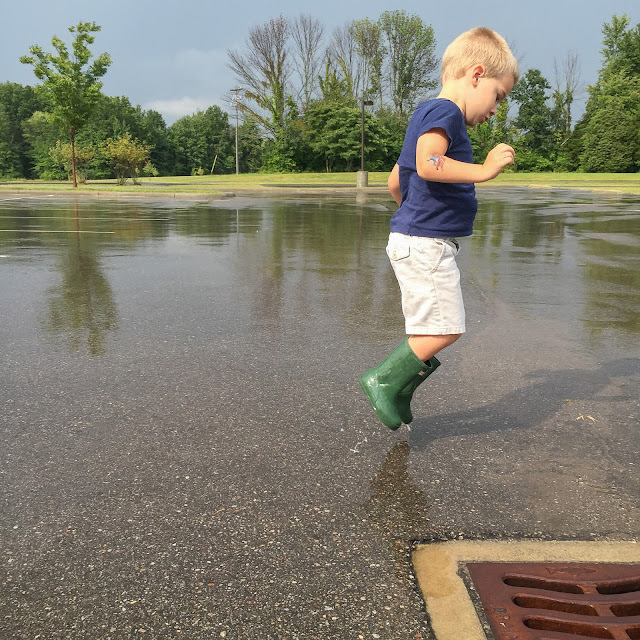 We knew the storm wouldn't last long and so we waited it out in the parking lot, watching and talking about storms the entire time (Tate's new favorite topic)! 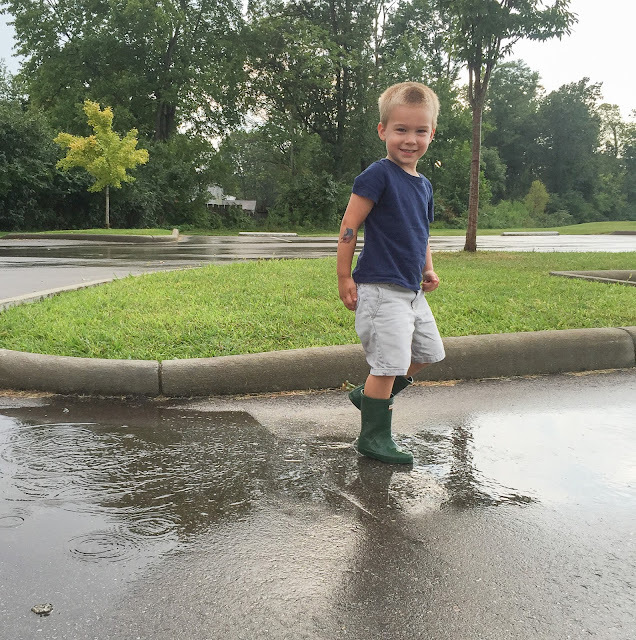 After the storm we decided to ditch the kites and to just jump in puddles instead. 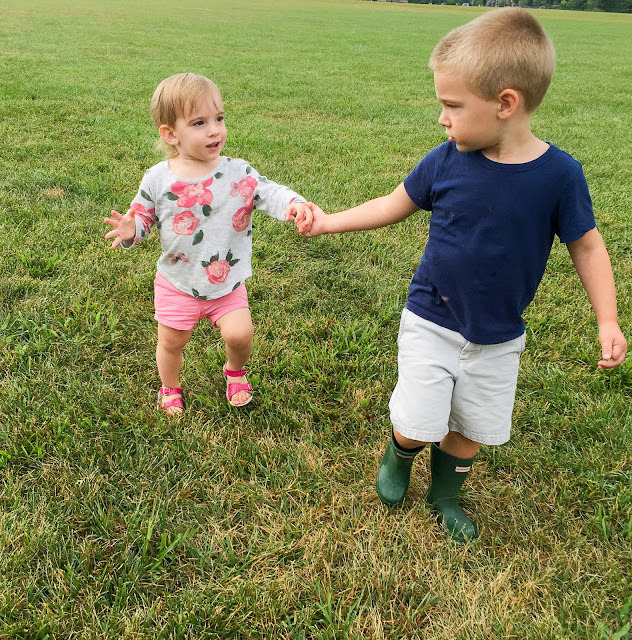 The kids had the most wonderful time (it is crazy sometimes how much fun you can have in unexpected, crazy situations) and then out of nowhere Tate and Maddie were standing next to one another and decided to grab each other's hands. And then, they both turned around and looked at each other with the most content looks on their faces and just smiled. I literally thought my heart was going to explode it felt so full. These two really are becoming the best of friends and it makes me so happy and proud. They love to play together, create mischief together and yes, even fight together... but it is all together! Life is so physically, emotionally and mentally exhausting when your children are young! Some days it never seems like this crazy phase is going to end, but then I remember I will look back on these days and wish I had just one more moment with my babies as babies. 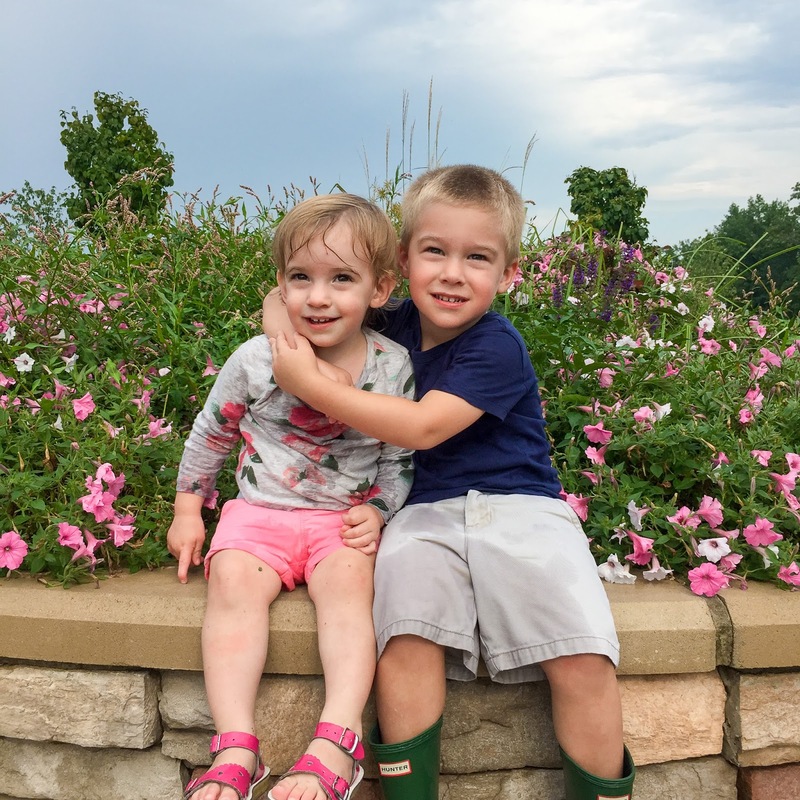 They are growing up way too quickly and I pray that I can try and savor these sweet, special moments. 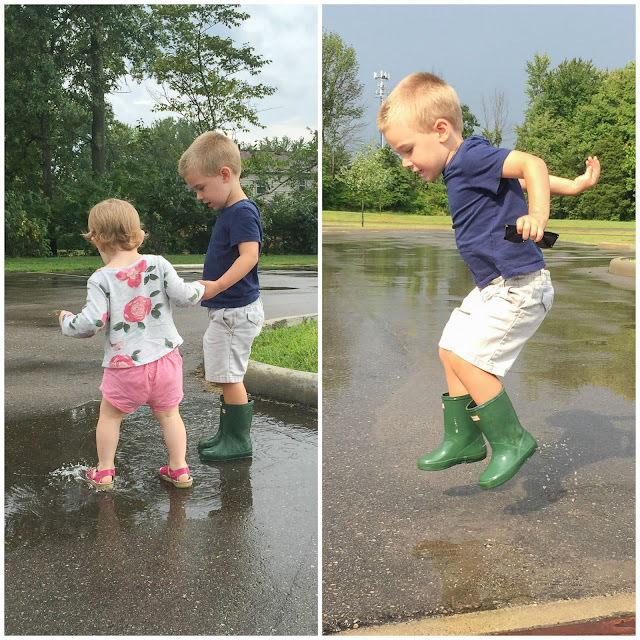 ^^Tate teaching Maddie how to jump in puddles - though I'm not really sure she needed a lesson. ^^Or maybe they both needed a lesson in puddle jumping and not sitting! These are the moments I hope to always remember! Even if they are messy, chaotic and a little (or a lot) bit crazy.